If you're looking for a necklace that's twice as nice, this dual strand choker from the designers at Lana Jewelry could be just what you envisioned! 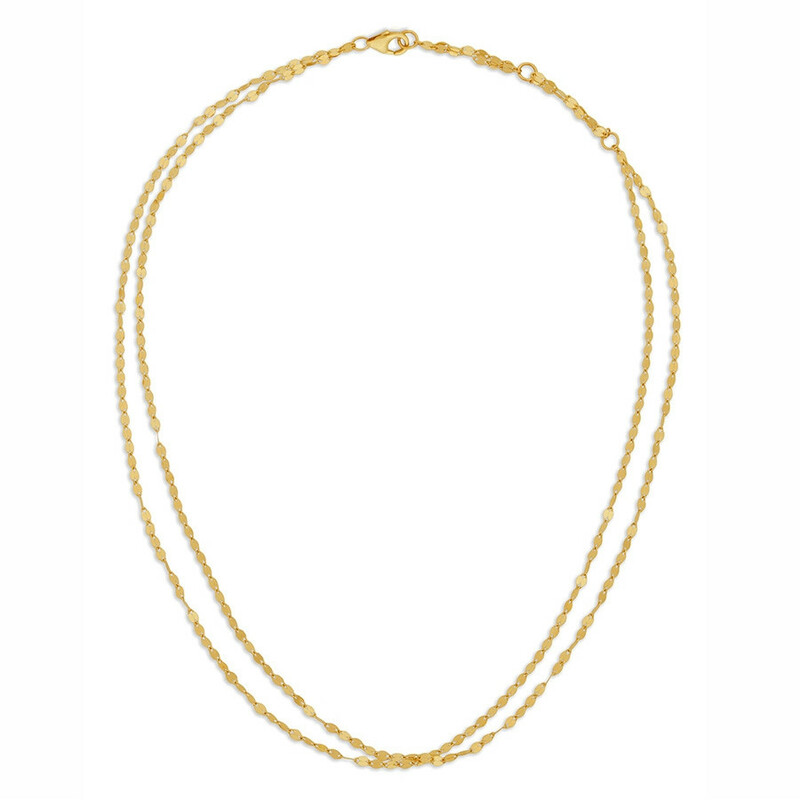 Crafted in 14K yellow gold, it features two strands of gorgeous, gleaming precious metal, adding up to a 16" length. This choker necklace from Lana is appropriate to wear everywhere, any time; it 's a great go-to.